When was the last time you looked at a website and said, “Gosh that is some beautiful SEO work there?” Most website owners want their site to look professional and interesting to consumers. Great! A nicely designed site will help you capture business. However, a well-designed site optimized for search will bring in the targeted traffic you need to capture that business. That is why this article is about how to design a site optimized for search traffic. The ideas below discuss a number of features you can place on your site that help with your design and layout, as well as increase search traffic. Images are a big part of website design. The right picture can convey the look and feel of your product, as well as increase traffic to your site. The old saying that a picture is worth a 1,000 words is definitely true on Google. Google devotes an entire section of search to Images. Let’s make it easier for them to find your site with search-optimized images. To do this, you need to have the right alt tags for each image. 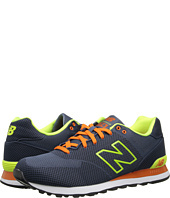 Take the image below of New Balance Classic ML574 – Elite Edition Collection shoes listed on Zappos. Using the Inspect Element on Firefox or Chrome, you can quickly see the images alt. Notice the bold alt tag clearly listing the image in text for Google to place the image in their image search engine. Zappos does this for every product they own. With over 50,000 different products, this is a lot of free search traffic from images. Google looks at the number of page views you receive on your site. The more page views you receive, the more Google feels you are providing targeted, valuable information to your readers. That is why you want to use design features to increase your page views. For example, the yet another related post and Word Press Popular Posts plug-in detail similar posts at the end of each post, based upon category and keywords. While it is not a huge design feature, pages views, bounce rate, and time on site are factors in Google’s search algorithm. With a small change at the end of each blog post, you can start encouraging visitors to leave the encouraging statistics that Google likes when you visit a site. With the arrival of Google Plus, Google officially recognized the power of social media in search traffic. This means that you need to incorporate social media sharing as part of your strategy. Clean social media buttons encourage users to share your content with their network. Furthermore, when a site starts getting many shares this provides great social proof that your article is valid. For example, a SEO company such as Shout Agency creates a lot of content across the web. Part of how we know whether the campaign was a success is the social share count. For example, take the post we wrote on SEO Writer. The post had over 402 Pinterest pins, 198 Tweets, and 69 Plus Ones. When Google sees this, they will rank the site higher than a site that might have a dozen or two dozen shares. Why? People show their trust of SEO Writer by sharing the post. Google wants indicators that your site is worthy of receiving massive traffic from them. Social media is a leading indicator of the value of search traffic. How does having mobile accessibility help SEO? According to the Pew Research Internet Project, 63% of smartphone users now use their phone to go online. A few years ago, marketers were talking about how mobile would be the next big trend in search traffic. It is no longer the next big trend. Mobile search is here. If you do not have a mobile website, you will lose traffic. Yet, with so many different screen sizes, the challenge is how to accomplish this. That is where responsive design comes in to play for search engine marketers and webmasters. By using responsive design, you not only have a site that fits all sizes, but also demonstrates to Google that they should show your website to mobile users. Search Engine Land reported in a study about one site that had over 729,882 homepage views and only 1,179 slide clicks. That means the slider has a click through rate of .16%. We talked earlier about how bounce rates and page views effect search traffic. With a click through rate of .16%, can you image the high bounce rate that this site has? Additionally, the problem with the sliders is that the headers and alt tags for the sliders rotate, so Google does not know how to read the sliders on the site. For instance, take the simple slider below. Each slide has an H1 tag with a different keyword. In Google’s eyes, this diminishes the value of the H1 tags on the site, and makes the home page slider more likely to cause a decrease in search traffic. Like keyword stuffing back in the old days of search, Google does not want to have to figure out what is important on your site. Instead, they need a clear demonstration of the value of each page. A slider removes the value of the content. Merge quality website design with SEO is a balancing act. Do not lose the beauty and vibrancy of a site just for a few extra visitors to your site. If those visitors do not like your site, then all is in vain. However, keep in mind that good design can help you increase your search traffic. Let us know in the comment area below if you have any questions about merging web design with SEO. At Shout Agency they believe that SEO is essential to every businesses success. Priding themselves on being Australia’s SEO agency, they can help grow your business by delivering more targeted traffic to your website. For more information, visit www.shoutagency.com.au.